The ASRL Committee has released Newsletter #61 which should already be in your Inbox if you have subscribed. 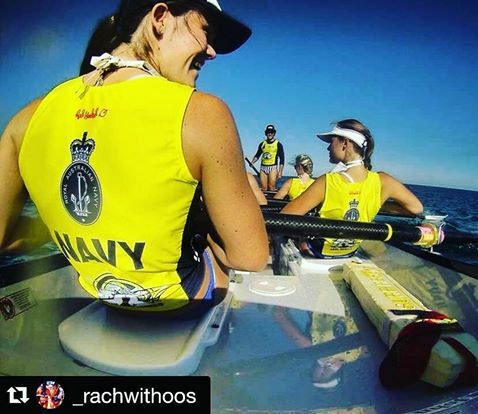 The Newsletter contains heaps of new season information, rowing news and stories from around the Clubs. All rowers are encouraged to have a good read. Newsletter #61 is below. February is an exciting month for all members of the ASRL! We have just celebrated the success that was the inaugural Australian Short Course Championships and the Manly carnival that was held the day before. I would like to thank every volunteer who assisted with the delivery of the carnivals. We had some challenging surf and it was an entertaining two days for the thousands of spectators that flocked the beach. This week we are heading to Shell Harbour for the Team Navy ASRL Open. Entries are close to the 300 mark which is a positive result for the ASRL. I would like to wish everyone all the best who is competing at a club, state or national level over the three days of competition. We have included all last minute information in this newsletter so if you are attending the Team Navy ASRL Open this weekend please ensure that you read the newsletter in full. You will also see a number of graphics promoting the live stream of the event. This is an exciting initiative from the ASRL and we are extremely excited to share our event live around the world. Links are provided in the newsletter, on Facebook and on our website. I would like to thank Team Navy for their ongoing support and Destination NSW are a key partner of the upcoming ASRL Open. 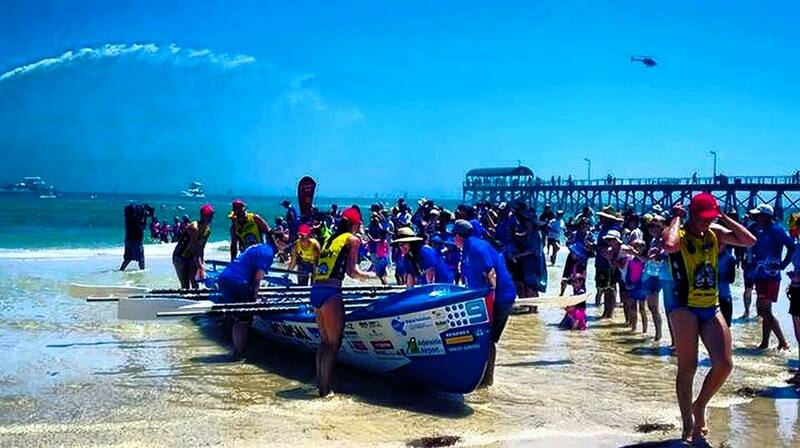 Want to win a BRAND NEW SURFBOAT? 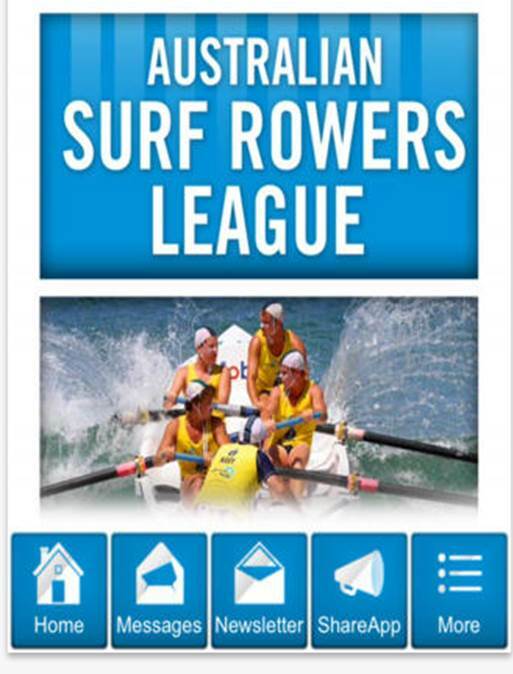 There will be a brand new surfboat up for grabs as a prize that will be drawn at the ASRL Open! We will announce the winner throughout the live stream of the Team Navy ASRL Open and we will post on our social media channels straight after the announcement. 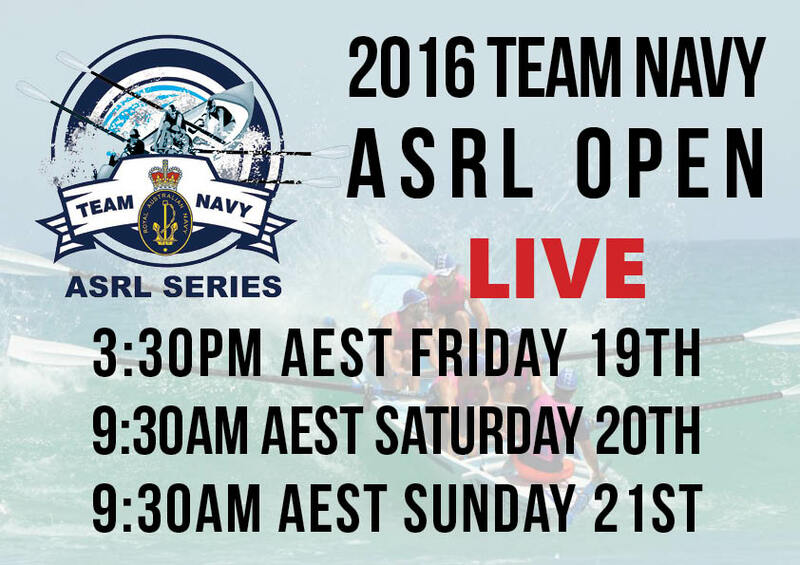 We are only days away from the Team Navy ASRL Open! Attending the event or want to know exactly what is going on? Read the below in full! Are you a Facebook user? Make sure you join the official event page by clicking here. We are posting updates daily and any changes to the program or event will be posted in this event page. Got a mobile device? Visit your Apple or Google Play Store and search 'asrl' and download the app as we will be using this frequently over the three days to update everyone on a number of areas. All crews in all divisions will automatically now be checked in for racing. If you plan to withdraw you must do so prior to the event so by 7pm this Wed 17 Feb. If you don’t tell us your withdrawing you will be responsible for mucking up the draw and will be costing all other crews valuable race time on the beach as the Officials have to re-work the draws. 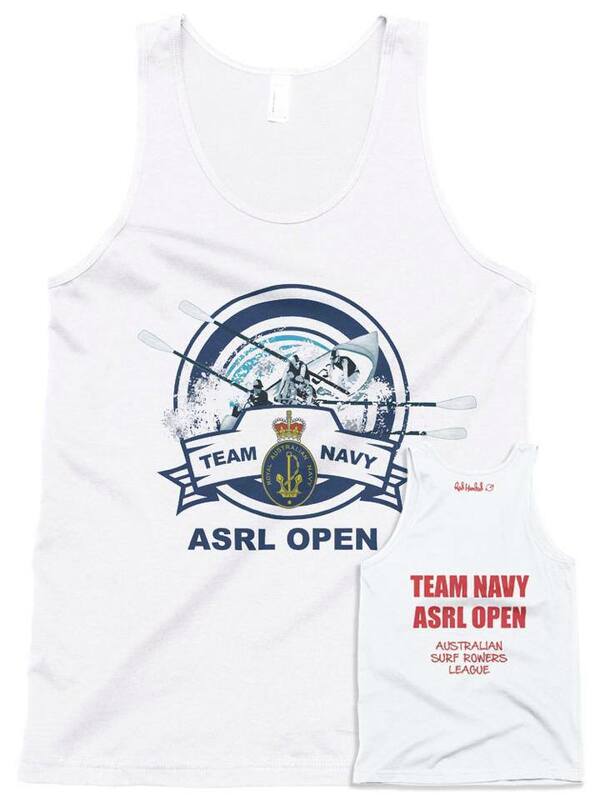 Red Handed Clthoing are back at the Team Navy ASRL Open with the official merchandise for the event! We are happy to share a preview of the singlets that are extremely popular with all of the competitors and spectators each year! 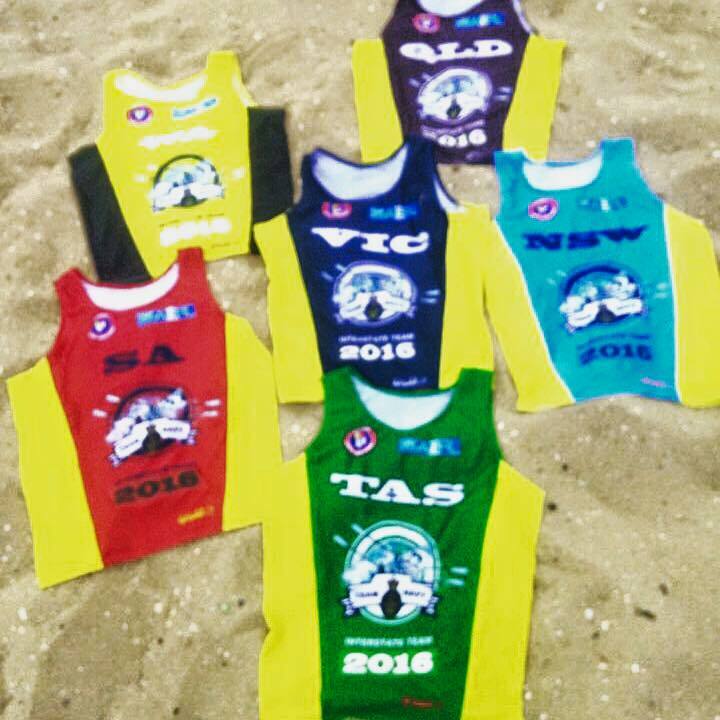 The singlets are just $25 each and Drew Howell and his team will be set up on site from Friday morning! The first 100 sold will receive a free gift! 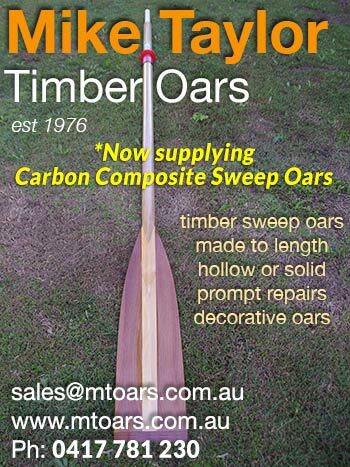 Visit the website to browse through the official boaties collection merchandise! 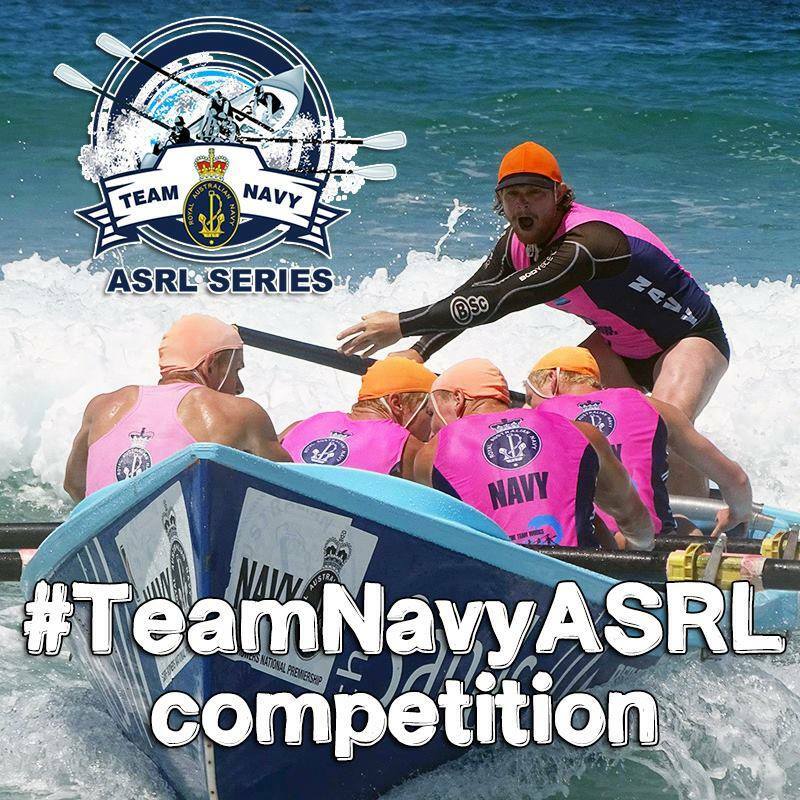 The NSW Government, through its tourism and major events agency Destination NSW, welcomes competitors and spectators to Shellharbour for the Navy Australian Surf Rowers League for its Grand Final of events this season. Visitors will have the chance to go fishing at Lake Illawarra, or see marine life up close while snorkelling or diving at Bass Point Reserve. There is also the incredible Killalea State Recreation Park which features 8 kilometres of pristine coastline. Shellharbour provides a great getaway location to explore other nearby beaches and villages making them perfect places for a day trip or weekend away. The best three photos from each day will WIN a pair of Team Navy ASRL headphones! Make sure you #TeamNavyASRL all weekend on Facebook and Instagram! Get creative! Congratulations to our Australian representative crews that will compete against New Zealand this weekend. Torquay sweep Scott Tannahill is thriving on the opportunity to represent the green and gold. "It is such an honour for us to have made the Australian team and with this comes great responsibility and expectation that we will do our country proud," said Mr. Tannahill. 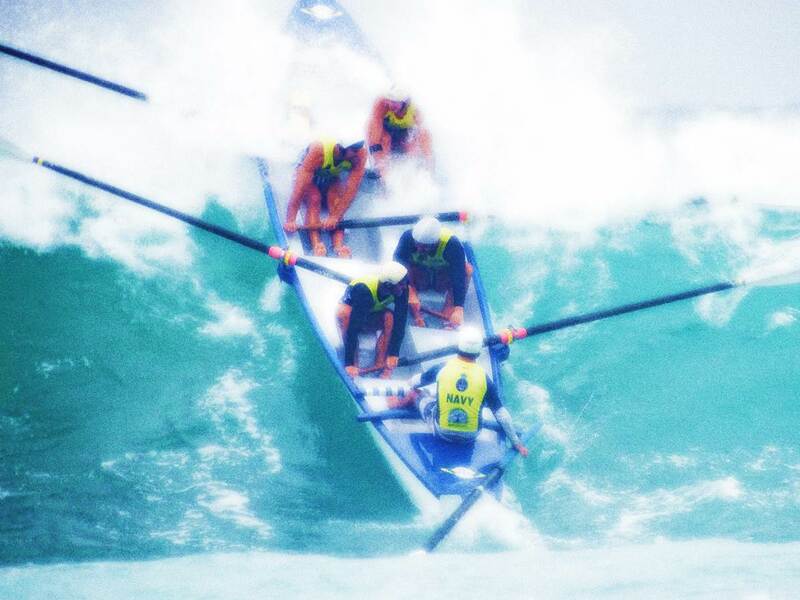 MIchael Brooks from the Maroochydore Assets Under 23 Women crew said that they crew were rewarded with the selection after going for glory on a wave at the selection final in Manly. 'Fortune favoured the brave, we went for the win and we have been rewarded with a remarkable opportunity that the girls may never experience again, representing your country, said Mr. Brooks. The Tran Tasman begins on Saturday 20 February. Live coverage is available on the live stream from 9:30am AEST on Saturday. The state teams are locked in for racing on Friday at Shell Harbour! Good luck to all of the crews representing their state colours! 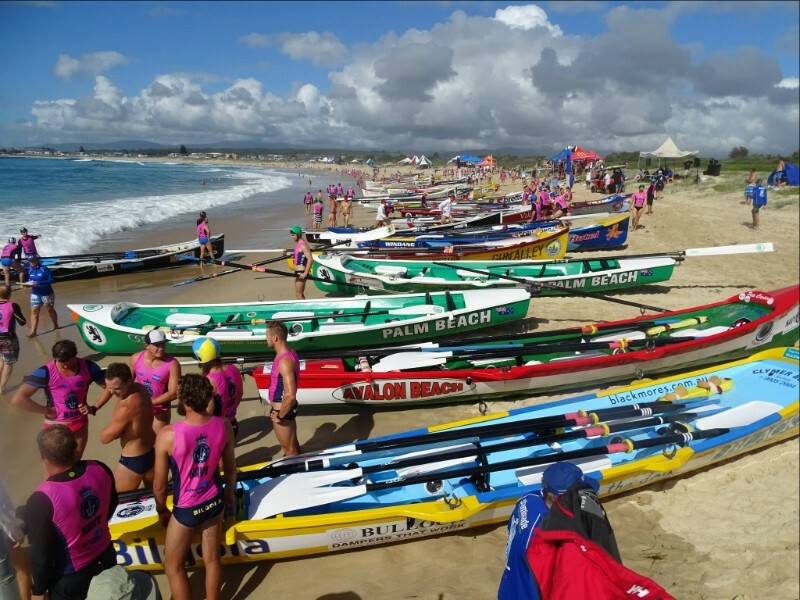 On Saturday 23 January and Sunday 24 January two major events were held on Manly beach in exciting conditions for all participants and spectators! 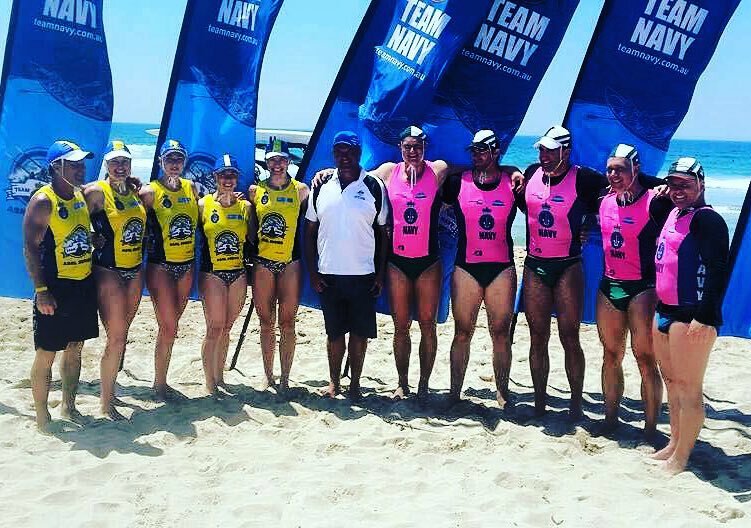 The Manly Open and Australian Short Course Champs were held in testing surf and we would like to congratulate everyone involved, especially the key volunteers from the Manly LSC and the ASRL. The ASRL used the finish line technology at the Manly Open and Australian Short Course Championships and all reports are positive! 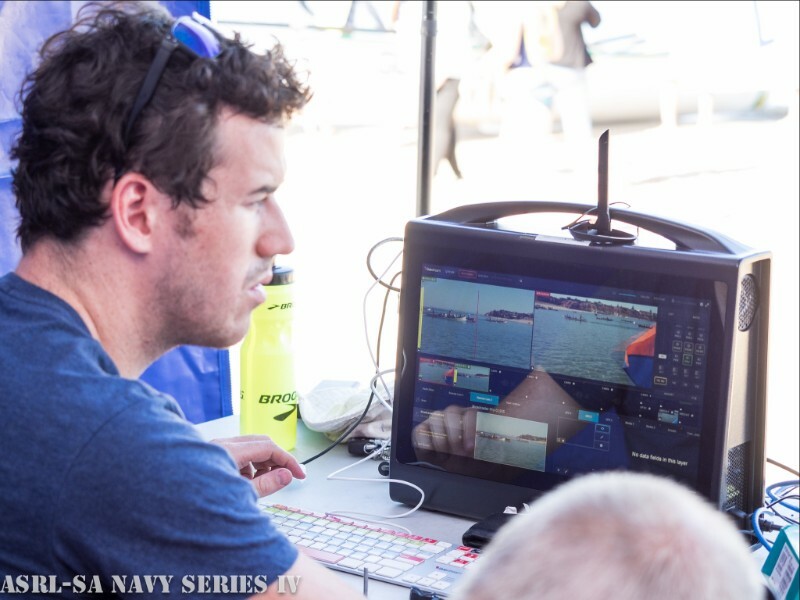 The finish line technology will be used this weekend at the Team Navy ASRL Open. Want to check out some of the footage? Make sure you jump on our live stream on Friday, Saturday and Sunday. Round two of the Team Navy ASRL series (Victoria) was held in Anglesea on Saturday 13 February. 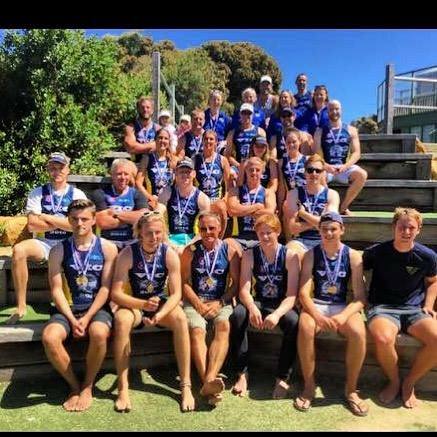 This carnival doubled up as the state team selection event for crews to represent the Big V at the upcoming Interstates competition on Friday. On Saturday 6 February the Henley SLSC held the 10th annual big row from Stansbury to Henley, over eight hours of rowing! The event is held every year to raise much needed funds to assist the day to day operations of the club! 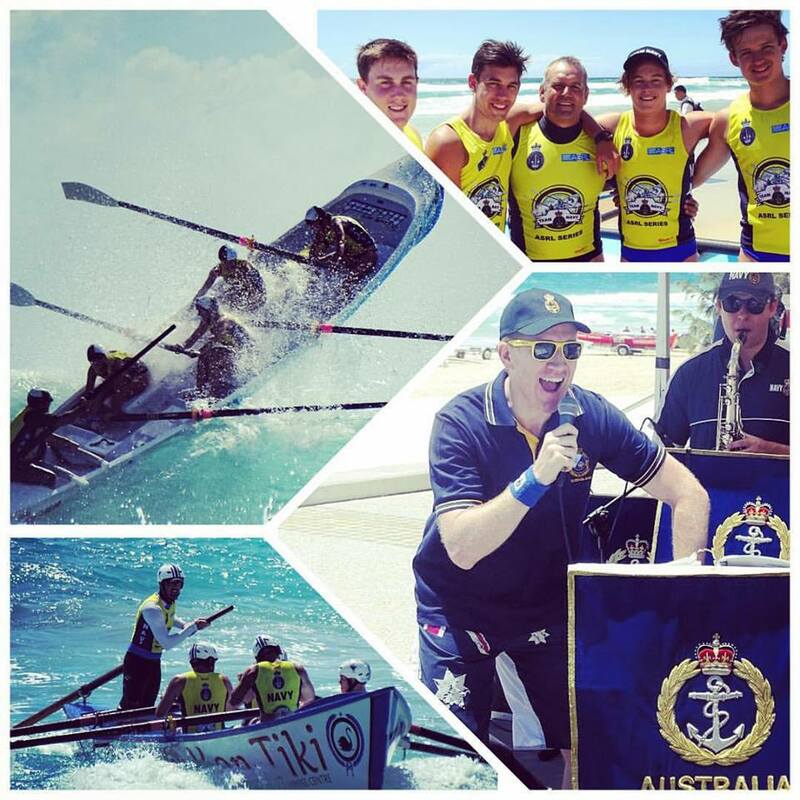 The Tallebudgera SLSC have a remarkable young rower within the ranks who is extremely motivated to achieve great results this season. The Nutella loving go getter loves the sport of surf boat rowing and has lived in six countries! 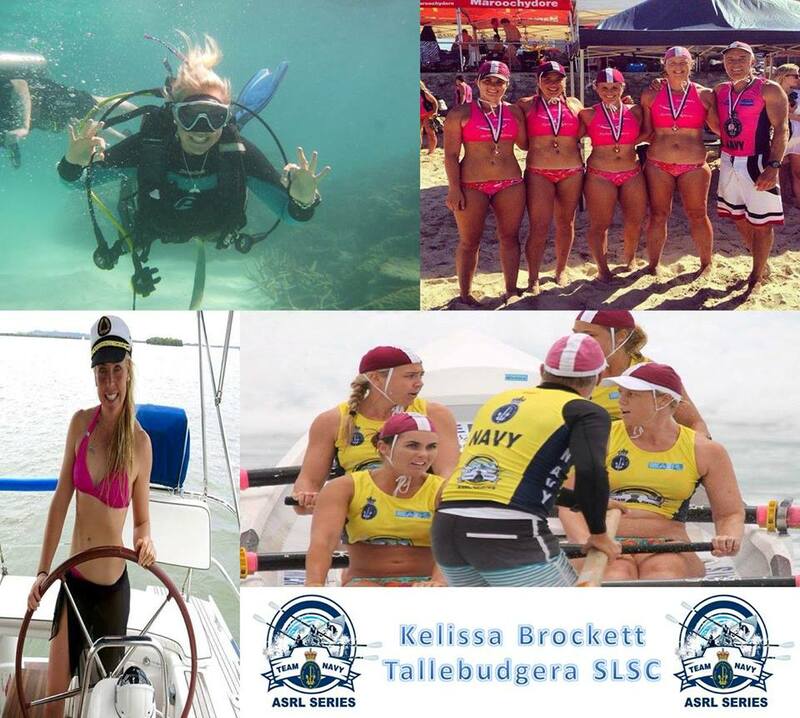 We were stoked to have a chat with Kelissa Brockett from the Tallebudgera SLSC! Her rowing history is remarkable and this is a fantastic read! Click here to read our interview with Kelissa.